Marvel’s latest hero-vs.-hero event began with the death of James “Rhodey” Rhodes/War Machine during a battle against Thanos. 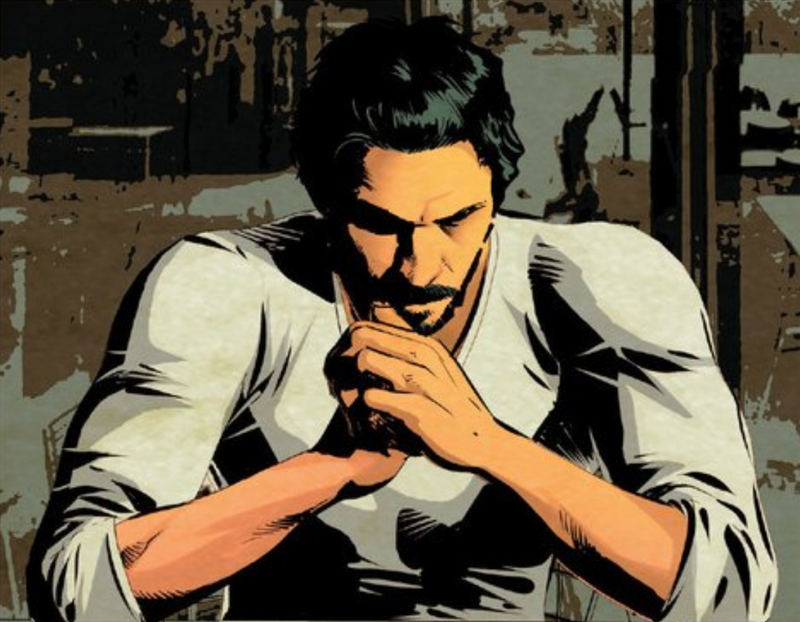 But Tony Stark’s life has been falling apart for a while, even before Civil War II started. This week, the genius inventor grapples with the loss of his comrade-in-armor. Even besides the death of Rhodey, Tony Stark’s had it rough lately. He almost died on an undercover mission in Japan and his long absence from the public stage and presumed death fueled a barely averted coup d’etat by angry board Stark International board members. The Inhumans have declared war on Stark because he kidnapped precognitive character Ulysses, destroying his corporate headquarters. His company’s financials are in freefall. And Victor Von Doom keeps hanging around Stark and his scientist girlfriend Amara Perera. While Rhodey’s death happened months ago in the real world, the Invincible Iron Man series has been moving at a very decompressed pace to lay the groundwork for the changes that we now know are coming. Invincible Iron Man #13—written by Brian Bendis with art by MIke Deodato, Frank Martin, and Clayton Cowles—is the issue that sees all of the stress catch up with Tony. And he can’t even pull it together enough to go to Rhodey’s funeral. The cool exec with a heart of steel generally hasn’t dealt well with stress throughout his publishing history and this issue shows how his relationship with Rhodey has helped him through darker times. This isn’t the first time that Tony Stark has faced apocalyptic setbacks. But it’s been a while since he’s lost on such a big scale. His absence from the post-Civil War II stage seems to indicate that Captain Marvel will be on the winning side of the pro- vs. anti-interventionist debate, even if it ruins her. These aggregate changes represent a big shift from the latter-day interpretation of the character, who rose to flagship status after the first Iron Man movie kicked off the Marvel Cinematic Universe. Tony’s been shown as an occasionally douchey yet well-intentioned billionaire superhero, whose money and charm were assets as important as his genius. When Tony’s been broken before, Rhodey was there to help him put his life back together. Without his best friend, that’s going to be a lot harder.